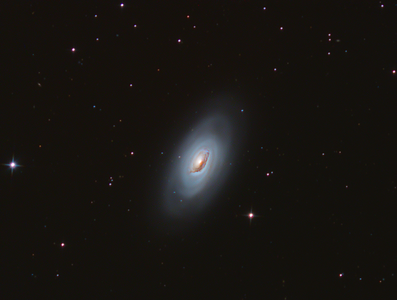 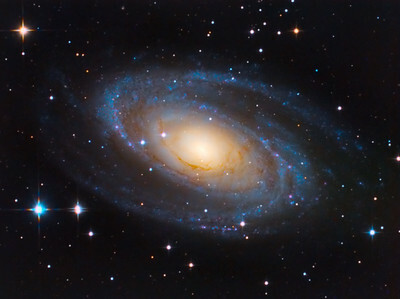 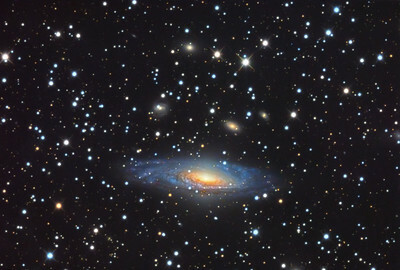 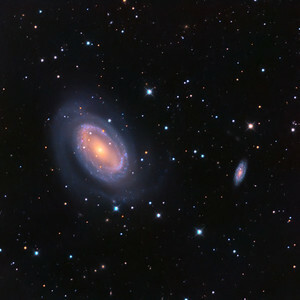 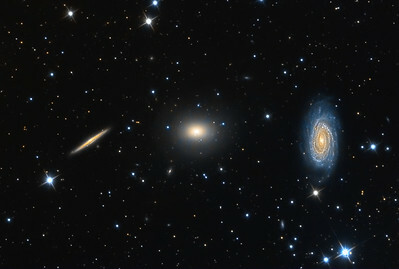 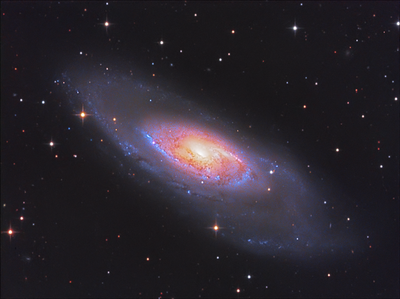 Messier 94 (also known as NGC 4736) is a spiral galaxy in the constellation Canes Venatici. 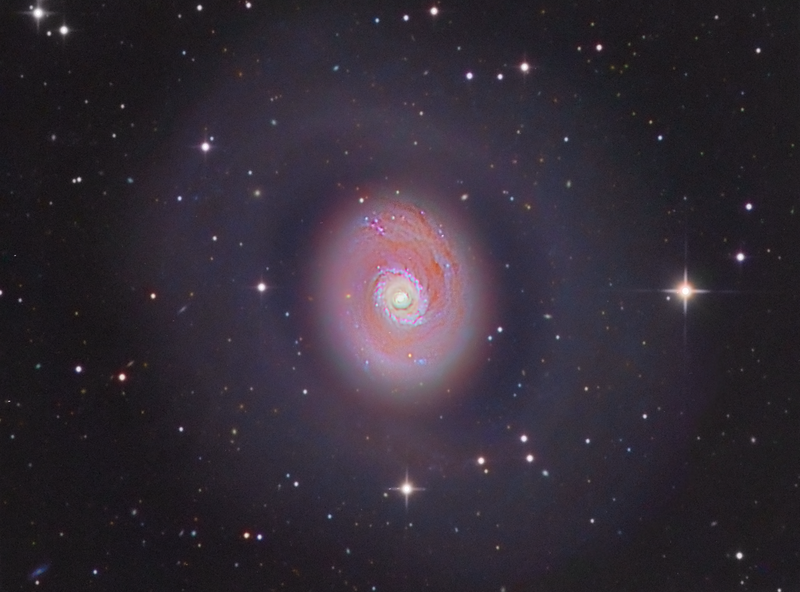 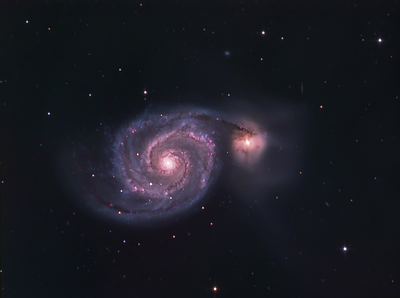 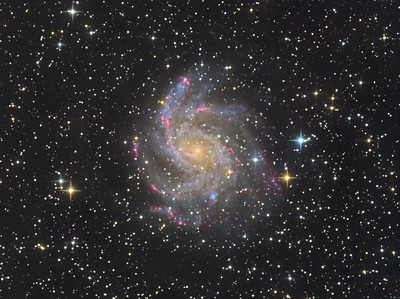 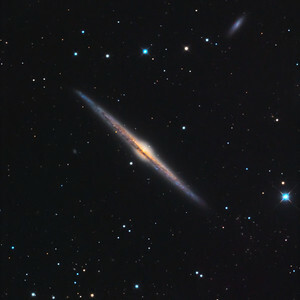 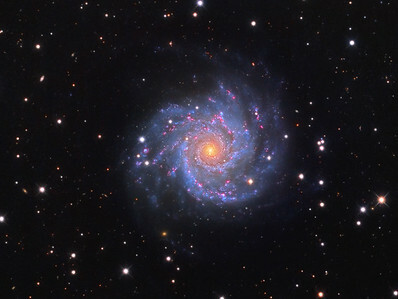 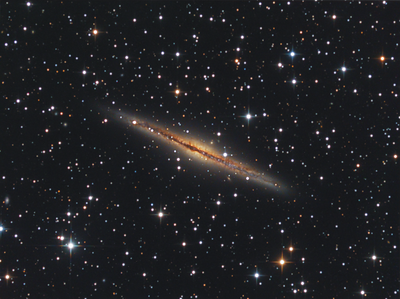 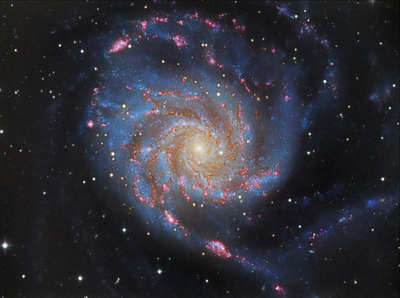 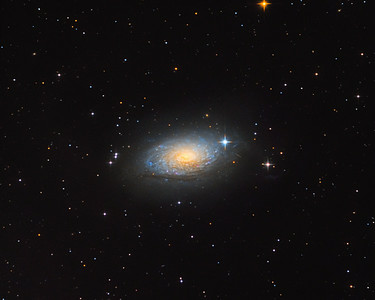 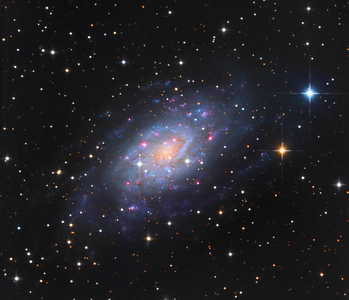 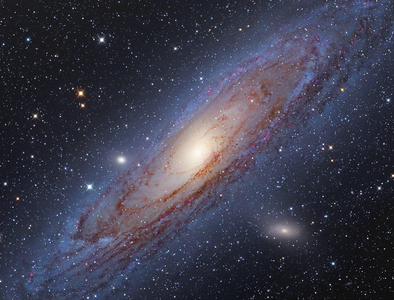 M94 contains both an inner ring with a diameter of 70" and an outer ring with a diameter of 600". 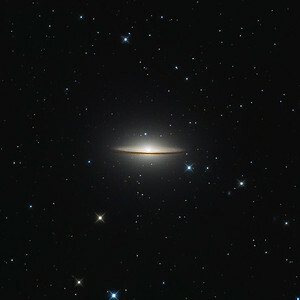 These rings appear to form at resonance locations within the disk of the galaxy. 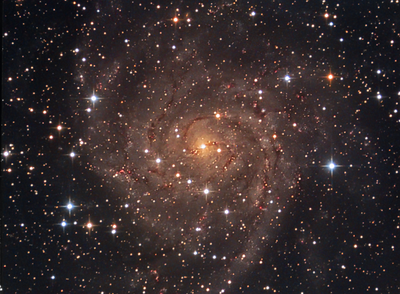 The inner ring is the site of strong star formation activity and is sometimes referred to as a starburst ring. 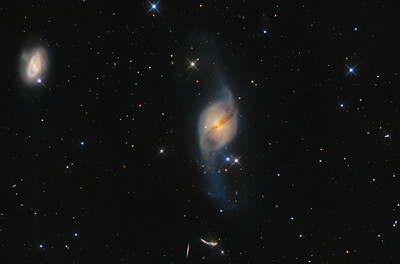 This star formation is fueled by gas that is dynamically driven into the ring by the inner oval-shaped bar-like structure.